Republican Presidential candidate Mitt Romney told ABC News that when it comes to the 2012 Presidential debates, President Barack Obama will say anything, whether its true or not. Romney might have left out another key factors of the upcoming debates. 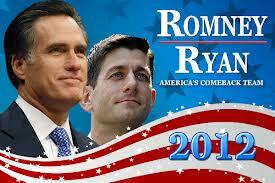 One, Romney will find himself in a WWE handicapped match against Obama and the liberal MSM moderator. If Romney expects to get his message out, he best ignore the moderators gotcha “how long has it been since you stopped beating your wife” questions and put forth his vision for America and how he is different from Obama. BTW, the moderators are Jim Lehrer, Host of NewsHour on PBS, Candy Crowley,CNN Chief Political Correspondent and Bob Schieffer, host of Face the Nation on CBS. Good grief, was Chris Matthews and Rachel Maddow busy on those dates? Two, Romney can expect questions on Romneycare and his lack of foreign policy, while Obama is asked what his favorite color is. The debates are going to be the last 3 events where America will be able to compare the two candidates mono y mono. However, the MSM has been so in the tank for Obama during his first and this election cycle, it really makes me wonder why when they act as moderators, they will not continue to do so and try and skew the debates. What a liberal trio! Romney is either planning to ignore their questions or will be walking into a trap. Where were his people when this was being organized? What can Republicans do to get more conservatives on the debate panel. It’s so unfair – they are all liberals. We should boycott! Are the moderators going to ask “trick” questions? of course obama will lie, cheat, and steal to win an election. we’ve witnessed this before. this goes for any democrat though. they are nothing but career criminals. a vote for obama is a vote to watch your children suffer the criminal will of the democrat plantation and it’s slaves. Republican Presidential candidate Mitt Romney told ABC News that when it comes to the 2012 Presidential debates, President Barack Obama will say anything, whether its true or not. “Any agreement with the Palestinian people must preserve Israel’s identity as a Jewish state, with secure, recognized and defensible borders,” the presumptive Democratic presidential nominee said at the annual conference of the American Israel Public Affairs Committee, an influential pro-Israel lobbying group. “Jerusalem will remain the capital of Israel, and it must remain undivided,” Obama said. “we both know that, if Senator Obama did not say what he said, he would never get elected,’” said Wright. The Middle East does not like Obama and his policies, the film was a spark to light the fire. Now we have homeland security threats. And 13 countries in an uproar. I guess Obama is out on the court playing basketball.